I’ve helped bring a new book into the world and thought I’d take a moment to talk about the book and the process. My wife and I opened our home to her father three months ago. You see, after receiving a diagnosis last summer that his pacemaker’s battery was due to fail imminently, and that his heart would fail soon after, he entered hospice care and enjoyed a stay at the Isaiah House. They asked him to leave at the start of the year because – well – he hadn’t died! Three months later, he’s still enjoying the office-bedroom at the foot of the stairs. I’m not sure when the transition happened, but it seems clear to me that my expectations of others have dropped considerably. I’m not sure if saying “my mom (or dad) prepared most of my family’s meals from scratch” is common any longer. It’s true for me, and to a large extent most of my children. If you’re middle of the road, participate somewhat actively, eat modestly, have put on a pound or two each year over the years, and would like to address it, this is the manifesto for you. If you’re in the two-thirds of the population that’s lighter than average, you probably aren’t interested. If you’re well overweight, I’ll ask that you consult with a doctor or a nutritionist as I’m neither, and you just might have some special situation that should be dealt with specially. But for the rest of you – you’ve probably read this far because you’ve never fully endorsed anyone or any organization’s extreme view of “what’s right”. You don’t think it’s reasonable to starve yourself for the rest of your life (to lose those few pounds), but you’d still like to address that extra weight – if only there was a modest path to do so. How does an entire profession say “We’re sorry, we were wrong” about something as significant as diet, for so long a time? The answer is – they can’t. The current position feels right to them, and they’ve taken such a firm position for so long that they resist new information while propping up pseudo information that supports their view. I’m going to show you an example where smart people – this author included – have passionately argued a logical position that just isn’t correct. I’ll explain two effective ways to show individuals that this logic is flawed. And then we’ll pick up this issue of diet. I’ll also bring up an example of how professional athletes stuck with an inferior competitive style until the very last moment. The world changed at once, and within a short amount of time the entire sport switched to a previously “inferior” style and completely abandoned the old standard. I’m asking reasonable people to rethink what it means to eat modestly. Life overcomes obstacles, thrives on diversity, and is best enjoyed within modest limits. But just what are those limits? How were they set? And is it worse to have too little or too much? Too little. We need “some” of a lot of things. Not enough and we’re in trouble. Too much. We can overwhelm ourselves with excess. Even too much water, a necessity of life, can be fatal. In spite of. A special case of “too much”. While water can be fatal for either too little or too much, poisons generally aren’t required – we don’t “need” any. They might be tolerated in small amounts – but we survive in spite of their presence. And so we try to estimate some minimum quantity that we need to meet, and some other maximum that we don’t want to exceed. Excess is – by definition – more than required, too much. But again, how much is too much, and over what period of time? Eating too much one day might be just fine. Eating too much every day will almost certainly cause weight gain. But haven’t you ever gained weight by eating the same amount as at another time when you didn’t? Or see that someone else eats more than you, but doesn’t gain a thing? Why was one an apparent excess and the other wasn’t? Why is everybody always answering in absolutes? It’s like they’e saying “There’s only one way to get from this point to that point”. And you just know that isn’t the case. In fact – you might have learned in school that there are an infinite number of lines that one could draw from one point to another! If there wasn’t a difference between calories, you could eat donuts each and every day to meet your daily requirements. But that’s just a numbers game. And if vegetation is the best thing for humans to eat, we should turn to leaves and bark. Lots of animals live off simple plant matter, and it’s quite plentiful around the world. How can that be if the eating of fat makes one fat and the eating of plants keeps one skinny? What happens when the neighborhood kids gather together and some unsuspecting rookie parent serves sugar-sweetened-fruity-beverages and candy? That’s right – the kids get amped up on a “sugar high”. Most parents know how this goes, find ways to limit these events on a day-to-day basis, and encourage physical activity after the kids get into treats – to help them burn the sugar off. And how do we know? The human body is quite interesting – and complex. It’s possible to focus our attention on “the one key to health” while missing the proverbial forest… Even if this week’s understanding contains useful insights, next week’s understanding may yet throw things up in the air again. If you’ve been around long enough, and in the right sort of circle, you may have heard of The Monty Hall Problem – wonderful. You’re invited out to a game show. The host presents you with three doors – #1, #2, and #3. You know that goats sit behind two of the doors (booby prizes), while the third door has a wonderful gift. The host – who knows what’s behind each door – offers you the choice of any one of the three, and you select. You’re then asked to decide. You may switch to the remaining door, or stay with your original one. Is it better for you to switch or stay? First off – some people have no clue.This whole thing about odds and chances of winning just isn’t their thing. They’re probably more likely to stick with their original than change just on the basis of having guessed “well” to begin with. People that understand odds are likely to work out the following: The initial odds of picking correctly were one in three (one successful pick out of three doors). After a door has been removed, there are now two doors, and so the odds of picking a door out of two is one in two. Therefore it doesn’t matter if you keep the original or change to the remaining door. I’ll definitely place myself in this second group. I knew odds, and it appears quite clear. And if one was picking at random from two doors, the odds would be one in two. The door removed was not a random event. Lets step back to the event that changes things – the host reveals a dud of a door. If the host was picking this door randomly, you could make a case that the odds have gone to that one door out of two. But he’s not. If the contestant did not pick the prize initially, there is only one non-prize door to show. And that means that the door to switch into must be the prize. Since the contestant won’t initially pick the prize two thirds of the time, he or she wins by switching two thirds of the time. And this is the wrinkle that is most often overlooked. I’m not sure I have access to notes I may have written, but I definitely argued the fifty-fifty answer quite passionately for a very long time… I couldn’t believe that smart people would just ignore the laws of probability like that. Until it was made clear. I was helped along by those that “got it” when they offered to simulate the experience many times for me. If a “changing” strategy “won” two thirds of the time over a hundred or a thousand repetitions, that pretty much had to be the answer, didn’t it? And since I was (and am) a computer programmer, I could do it myself. Yes, if you setup the program with the right sort of equations, you can see that a random “guesser” will select the prize one in three times. If this random guesser “stays” with the initial pick, they win one in three times. If this random guesser “changes” every time, they win two out of every three times. Seeing this happen helped lead me to the part of the problem that I had missed – the non-random door being opened. Until the facts started sorting themselves out for me, I was quite certain that I was correct. And that’s an entirely human pattern. Now here’s a wonderfully entertaining, dangerous, and exciting sport – slide down a monstrously steep hill and launch yourself out above another hill! 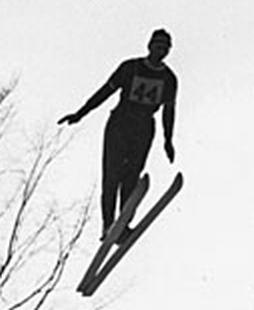 And for the better part of the 20th century, the technique involved parallel skis in front of the competitor. I recall listening to events in the 80’s where the announcers mentioned that this style was “the best”, had been in place for quite a while, and wasn’t likely to change. Mirosław Graf discovered the V style as a youth in the 60s – but was laughed at. 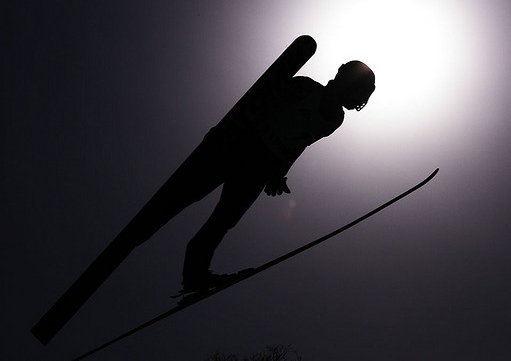 And while ski jumpers using this technique achieved 10% longer jumps, judges scored it poorly through the 1980s. Apparently something clicked in the early 90s – the style went from being poorly thought of to a winner in competitions. Medicine is a personal thing – and we as humans can be rather picky about what we do with our bodies. We definitely have experience and evidence of snake oil salesmen – those that might swing by with a medical product claiming incredible results. We don’t want to “fall” for this deception. One is bogus, the other advanced treatment. Common jokes include dentists and donuts, and the story of Hansel and Gretel helps scare the kids away from it. But it might go deeper than you realize. Sure – when talking about sugar as a drug, I included the notes about sugar’s effects on the brain, and that it might just be addictive. But sugar’s effects on the body go further than that. Consider the common practice of adding sugar to low-fat products to make them palatable – that’s a real problem. But let’s not stop there – Taubes’ “Why We Get Fat: And What to Do About It” and the more complex “Good Calories, Bad Calories: Fats, Carbs, and the Controversial Science of Diet and Health” lay out the effect of carbohydrates on the body – and it isn’t good. Instead of helping our weight issues, the medical profession’s suggestion that we all just eat less fat has pushed us closer (if not over) the edge by leaving only one thing left to eat – carbohydrates. And while those carbs provide quick energy, they don’t do us any favors over the long term. As you find authors that describe one position or another in the great carb vs fat debate, you’ll find each with reasonable scientific evidence on their side. If they didn’t, it’d be a slam dunk wouldn’t it? Be sure to apply the “cherry picking” principal equally. If you’re going to throw out the “Inuit diet” as being from some sub-culture or adapted segment of the population, please apply the same standard to any other purported “Low meat diet”. When you look around, you’ll be able to find articles and journals that properly represent the basis for the success of eating lower amounts of carbohydrates. And yes – your “there’s got to be a trick here somewhere” defensive mechanism may have become activated as you read through this manifesto – good for you! The grapefruit diet – perhaps quackery. Limiting fats – a legitimate eating strategy. Limiting carbs – a legitimate eating strategy. If it’s perfectly reasonable to suggest eliminating as much fat from your diet as possible as a means of controlling and reducing your weight, why would it be any less reasonable to suggest that you do the same thing but with carbs instead? I think you should try – within reason. Let’s be open about this. If you’re able to maintain a modest consumption of food each day, nothing you eat over the course of a week or two should substantially alter your body, right? The low fat diet – isn’t that what you’ve been “trying” to maintain forever? You ought to be able to use that as the baseline – and you know what the results are with that, right? That’s what I’m asking you to try. Give up the notion that fats are bad, and put the brakes instead on carbs overall and sugars in particular. During the first week simply cut out all excess breads, potatoes, rice, noodles, crackers, cookies, starches and sugars. Feel free to eat meats of all kinds, eggs, dairy (if you tolerate it), nuts, and vegetables. And I’m not asking you to give up any of your favorite carbs – no – just cut back to a modest portion, and avoid going back for seconds. During the second week, cut back fifty percent on the remaining carbs. Cut that modest portion in half… And add back more of the things you enjoyed eating but gave up because the experts told you fat was bad – it isn’t. I’d like to hear if you notice an effect. If I’m right, you’ll feel better, will adopt this sort of a diet long term, and just might share the manifesto. And it’s ok – I expect it’ll be right for only some of the people. If it doesn’t work for you, I hope you still learn something about how to think through this sort of debate – and a little more about how your body works. If you want more assistance, check out the Primal books by Mark Sisson. Literally – I mean check them out of your local library. I’m including the Amazon links here for your convenience, so that you can see the exact books that I’m referring to: The Primal Blueprint and The Primal Blueprint 21-Day Total Body Transformation . No, I’m not particularly moved by the “Primal” concept – except that it’s the right kind of food and has a catchy tag-line.